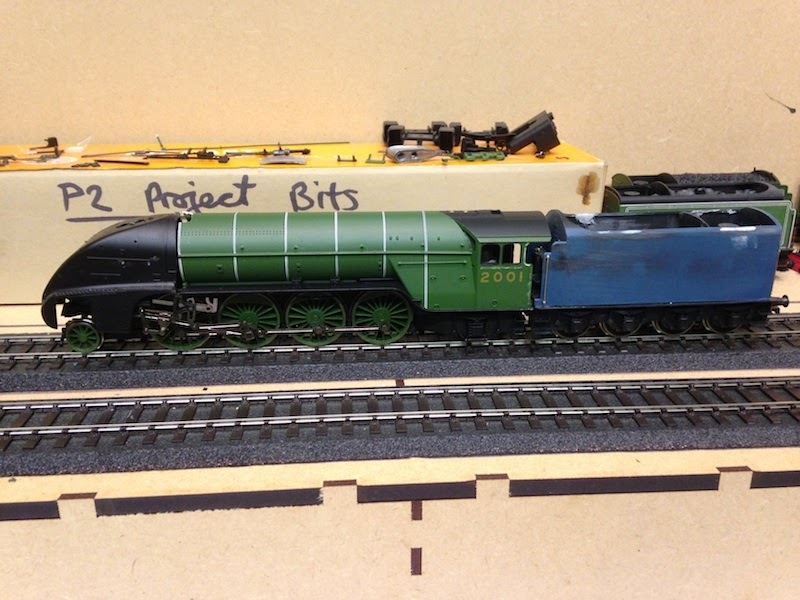 THE BRITISH RAILWAY STORIES LTD: "Streamlined P2 in the making…"
"Streamlined P2 in the making…"
I've been quietly working behind the scenes on my version of Gresley's P2, converted from the Railroad model of no.2001. The model utilises number of different spare odds and ends and will be a right Frankenstein's monster in some respects but will hopefully also end up producing a fairly accurate model too. You will notice that the Hornby valve gear and the air smoothed front end are both gone. 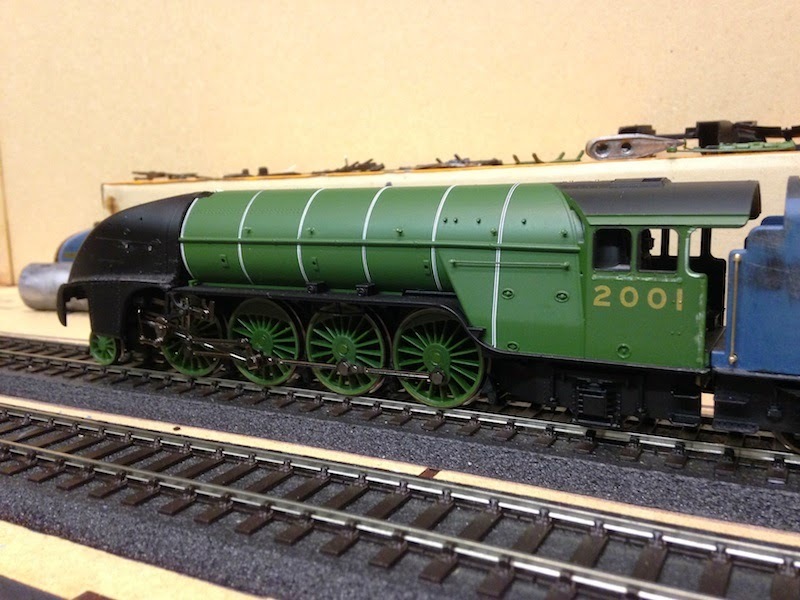 The latter is being saved in the spares box should I ever decide to make no.2002 Earl Marischal as built! The front end is eventually going to be a combination of Hornby A4 front end, my own well worked resin valances and side panels, and a white metal chimney from a Kay's Kit together with Maygib double spencer buffers. At the rear, the cab side sheets are going to be extended upwards to make the right type for no.2003 Lord President (which at the moment, is my intended subject). The tender requires some modification at front and rear to match the P2 streamlined tender and this will be done out of plasticard and Archer's rivets. The boiler towards the smokebox end is entirely the wrong profile - it should slope down to the streamlined front, as per the A4s, and this I will attend to with some filing and re-profiling. Putting all the bits together though to mock up the overall look of the thing, and suddenly I feel a thousand times more confident I can do this than I did at the start of the week. hi how is the streamlind p2 coming along? "Streamlined P2…any colour so long as it's…." 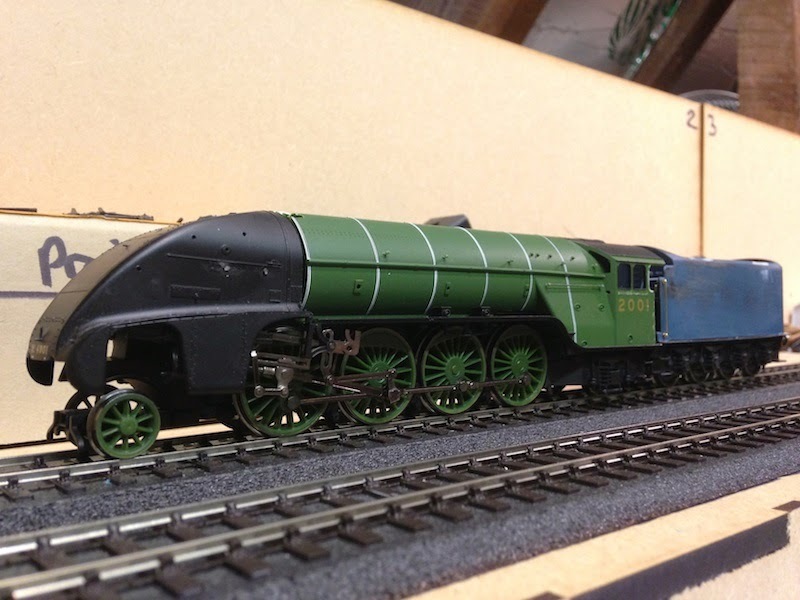 "Bit more work on the Hornby Streamlined P2…"
"Something streamlined this way comes…"
"Some budget modelling…and Thompson's B3/3"